In this game, you’re going to guess the number generated by the computer. What you’re going to learn on this game as an Android developer? 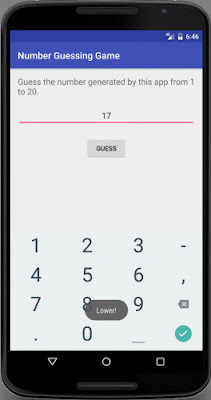 You will learn how to use Random() function to generate a random number when the app starts. You’ll also learn how to use If Statements to determine if the number that the gamer guess is lower or higher than the generated number. This is totally for the beginner. Play around with the code and make any changes as you wish.